Adidas and environmental institute Parley for the Oceans (also known as Parley Ocean Plastic) are addressing the issue of marine pollution from past few years. We have seen Adidas running shoes made from ocean plastic waste and Adidas Parley swimwear made from recycled fishing nets as part of their collaboration. 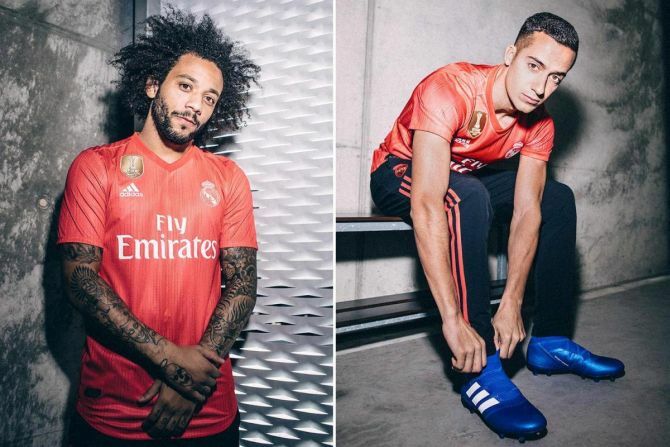 Taking their effort to combat ocean plastic problem, Adidas revealed an all new 3rd football kit for Spanish football club and Champions League winners Real Madrid. The coral pink strip is made from recycled ocean plastic salvaged from different water bodies across the globe.